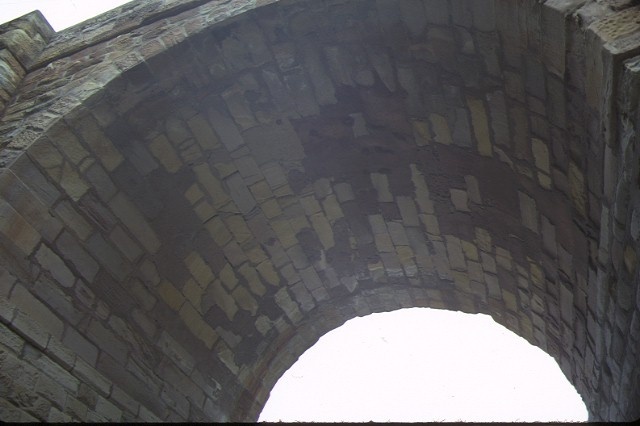 An early surviving bridge distinctive for its single arched design and construction in sandstone. This structure is representative of a number of such single arched bridges constructed in Victoria and forms an important part of the approach to the important townscape of Bacchus Marsh and in the landscape of the river valley. 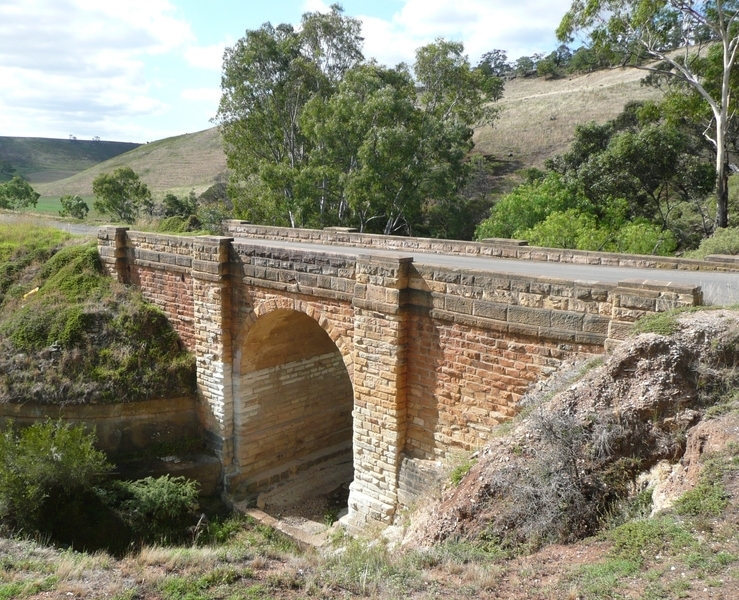 Djerriwarrh Creek Bridge, is a sandstone bridge constructed over the Djerriwarrh Creek in 1858-59 for the Road and Bridges Department of the Board of Land and Works. The single arched structure has piers framing the opening and substantial abutments constructed in a plinth, all in rusticated masonry. There is a string course at pavement level and the piers elaborate the balustrade. 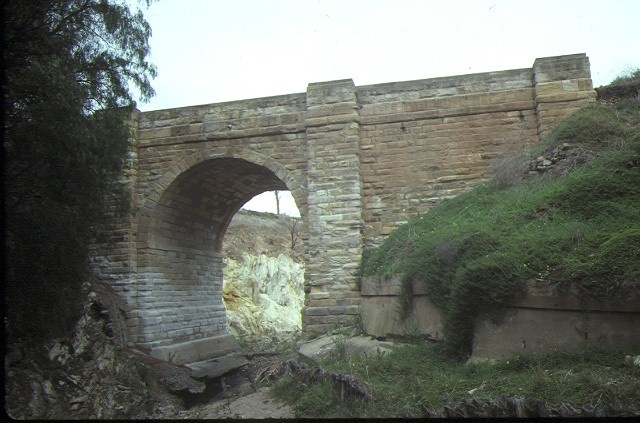 Djerriwarrh Creek Bridge, is an early surviving stone bridge distinctive for its single arched design and construction in sandstone. This structure is representative of a number of such single arched bridges constructed in Victoria and forms an important part of the approach to the important townscape of Bacchus Marsh and in the landscape of the river valley. 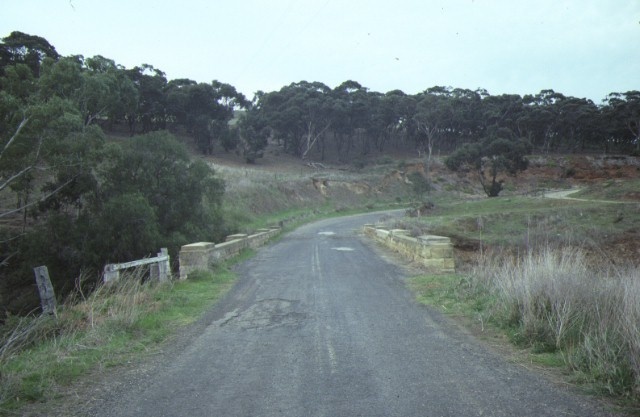 Djerriwarrh Creek Bridge was restored in 1963 and is in good condition. 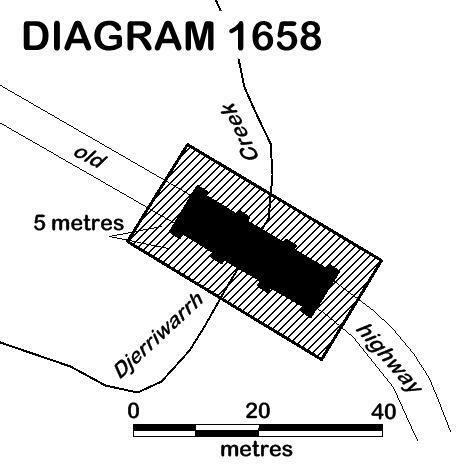 All of the place shown hatched on Diagram 1658 encompassing part of the road reserve for the Western Highway being a curtilage of 5 metres from the bridge. Last week l drove to the Djerriwarrh Bridge and was confronted by rubbish and a complete neglect of the surrounding land. I have since spoken with Vic Roads who have said they will be cleaning the area in March 2016 however there seems to be some confusion as to who is responsible for the on-going up keep. I would like to see the area beautified into parklands with picnic area.